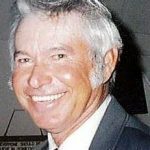 Fred Lofton Carter, 83, of Granbury, passed away on Tuesday, September 11, 2018. Service: 3:00 PM, Saturday, September 15, 2018, Thorp Spring Church of Christ, Interment: Tin Top Cemetery, Visitation: 2:00 PM until service time, Saturday at the church. 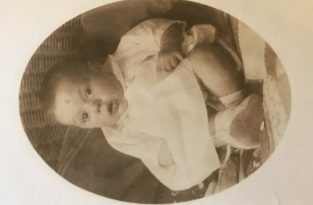 Fred was born on November 21, 1934 in Weatherford to Acey and Bertha Carter. He proudly served in the United States Army. On September 13, 1976, he married Allene Powell. He was a loving and fair father and grandfather. Fred had a giving spirit and was always willing to help his neighbors. He was an active member of Thorp Spring Church of Christ. Fred was a hard working rock and stone cutter for 36 years. He also owned a farm and raised cattle. Fred loved being outdoors especially if he was fishing or hunting. He was preceded in death by his parents, siblings: Thurman Thomas Carter and Dorthy Lou Shrider and in-laws: Roy Allen Powell and Darlene Reddell. Fred is survived by his loving wife: Allene Carter, children: Audie James Carter, Cheryl Ann Ward and husband Shawn, Michael Lofton Carter, Chad Allen Carter and wife Nadine, and Jennifer Dalene Sauer and husband Jeff, 11 grandchildren, 12 great-grandchildren, siblings: Coy Carter, Rosie Mae Mimms and husband David, and Bertha Jo Potts, and in-laws: Ora Mae Bedford and husband Howard, Mary Bob Powell, and Sammy Reddell and many nieces and nephews. Be the first to share a memory of Fred .